Looks like Alaska is our next major destination! I blogged about this before and now it’s time to put together our “Alaska Bucket List”: A list of the destinations that you absolutely must visit in Alaska. 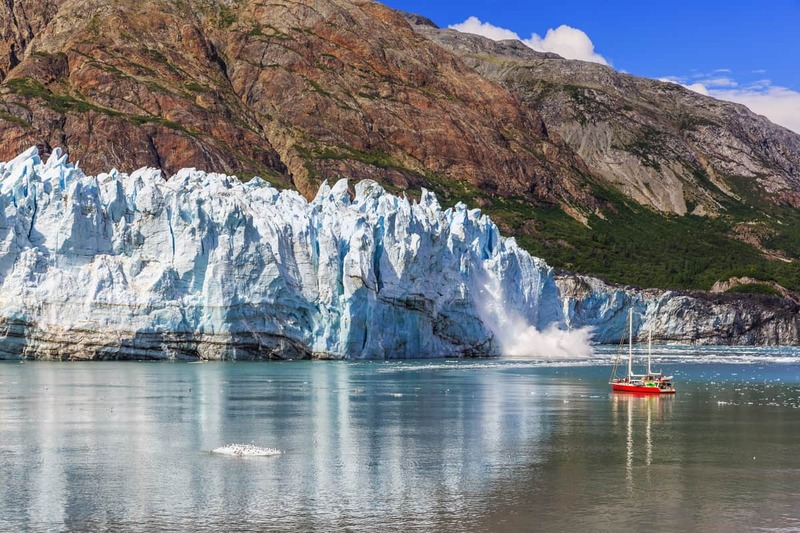 Mountains, lakes, glaciers and waterfalls… Alaska sounds like a dream destination. We will probably only have one month to spend in Alaska. Obviously, we want to make the most of the trip by focusing on the very best this amazing state has to offer. We usually prefer slow travel but our own great Alaskan adventure will need to be a tad more focused. Why the time constraints? We want to experience the full eclipse of August 2017, so we have to be near Bend, Oregon for that on the morning of August 21st. Once the sun re-appears, we’ll be heading up north – to Alaska! Our road trip will take us through the Cassiar Highway to Alaska and then back to the Lower 48 via the Alaska Highway. And there’s the rub. I don’t want to be driving the Alcan late into October. Shorter days and colder weather mean a higher chance of snow and icy roads. We have very little winter driving experience, so that’s something I’d rather avoid. 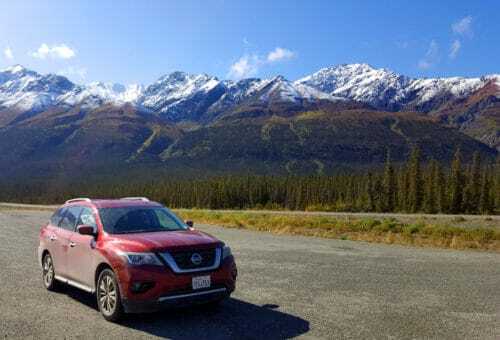 Driving to Alaska and back – everything that you need to know. 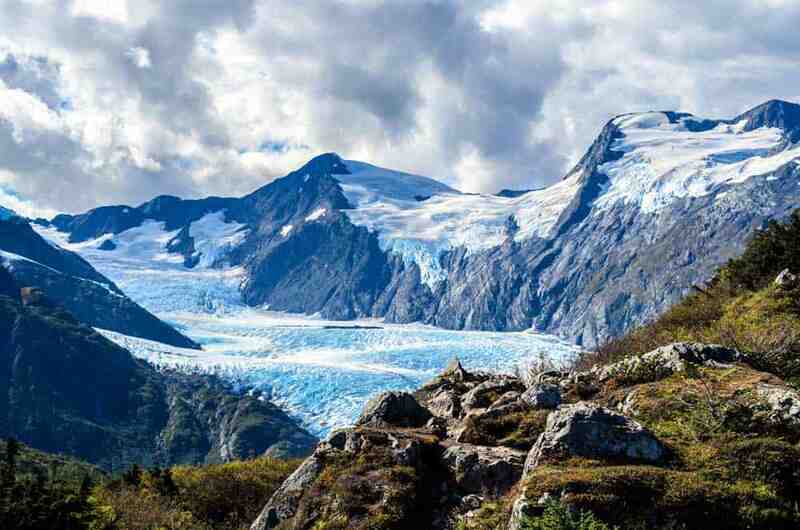 Our 11 tips for reducing the cost of a trip to Alaska. And that’s why our trip to Alaska is going to have to be on a schedule. We need to focus on the things we absolutely want to see and do. Hence, today’s post. This is a list of destinations. Not activities and not even necessarily specific places. When two towns or places are very nearby, I lumped them together into one item. That’s because once you’re “there” you can easily see both places even if takes you an hour to drive between them. You could stay in one place and “hop over” for a quick “day tour”. 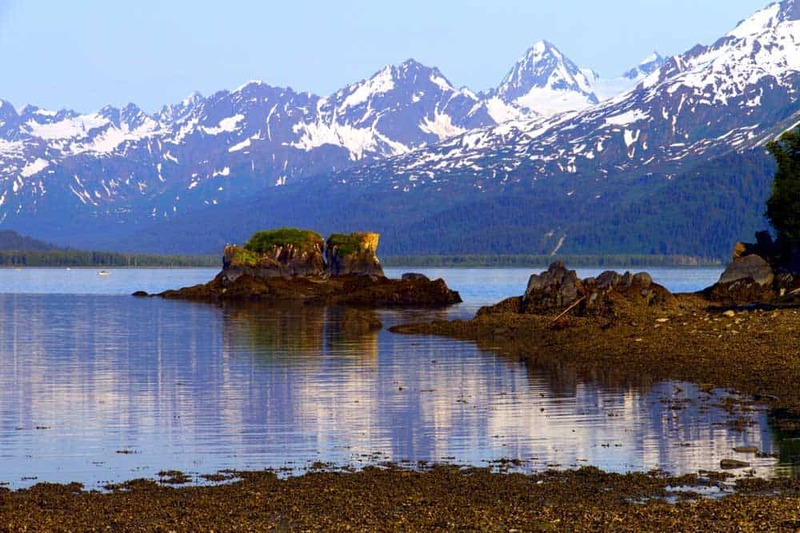 Without further ado, here are my top 13 destinations in Alaska. Scroll down for an interactive map of our Alaska Bucket List destinations. We absolutely love national parks. National Parks make our visit to a new place so much more special. Plus, it’s Denali mountain, the highest peak in the entire United States. 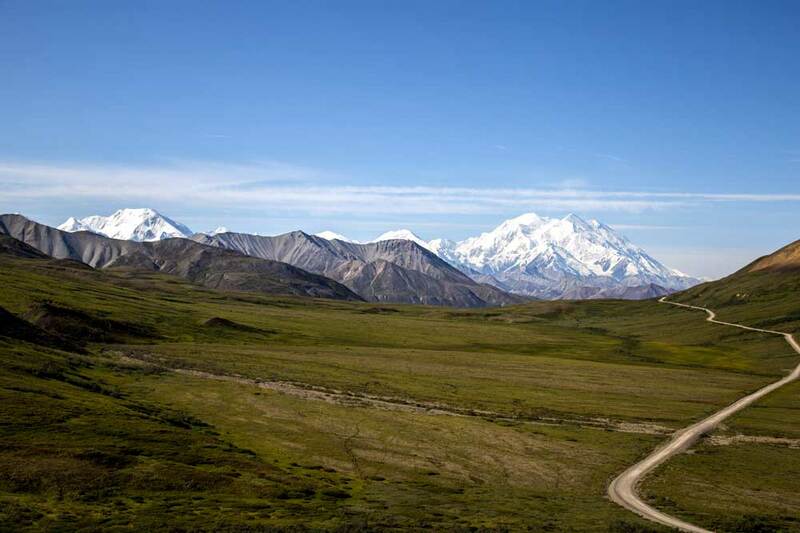 Visiting Denali National Park is definitely on our Alaska Bucket List! Watching a majestic glacier create its own tidal wave as it calves is a once-in-a-lifetime experience. To have a ranger as your guide? Even better! We want to experience that at Glacier National Park. Fjords and glaciers, from land and sea. Hiking the Exit glacier definitely makes it into our Alaska Bucket List! This park is also easy to reach (by Alaskan standards). Katmai National Park should be on everyone’s must-see list. You have to fly into the park and stay at the local lodge, making it quite expensive to visit (especially for a family of four). I can’t leave it out of the list but whether or not we’ll be visiting it during the summer of 2017 remains to be seen. What’s in Katmai? In three words: Waterfalls, salmon, bear. Mix these three, pour and enjoy! 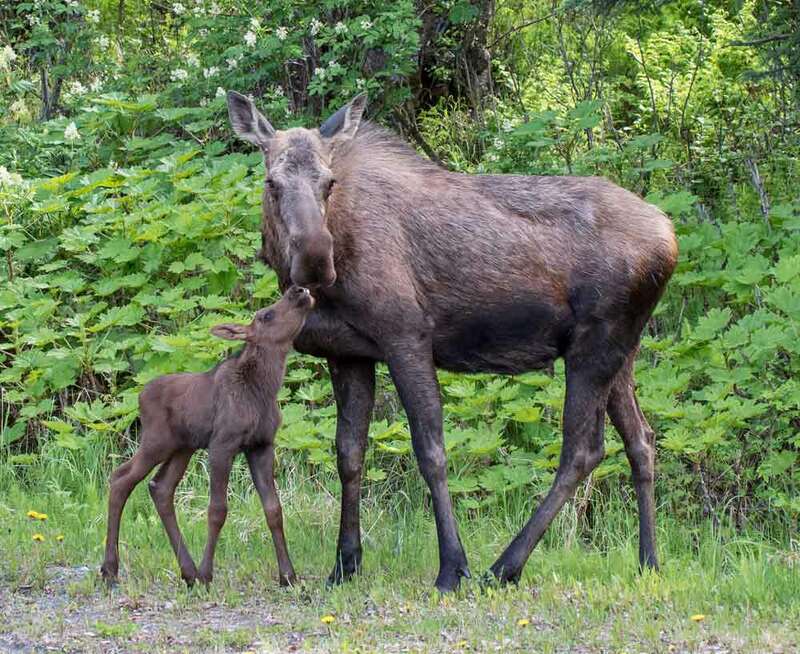 What other national parks can you visit in Alaska? I created a mega post about Alaska’s National Parks and which ones you can visit and how. 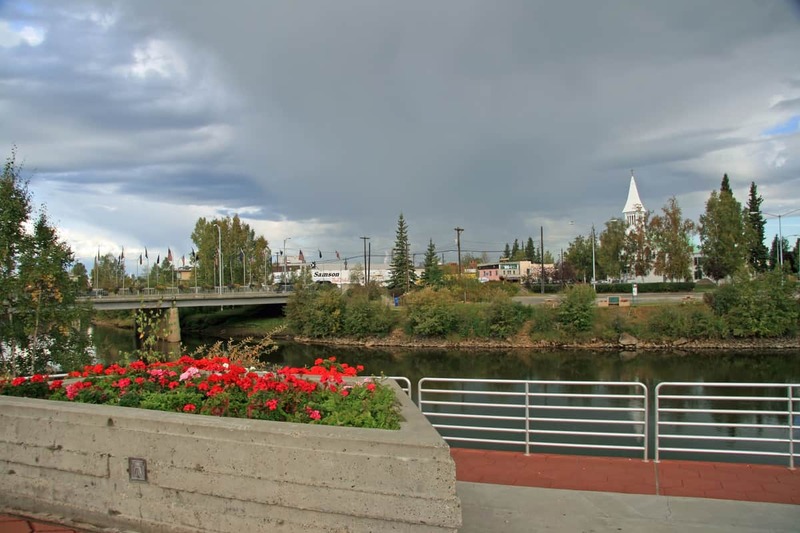 Visiting LARS, visiting the Georgeson botanical garden in Fairbanks, and you should also read these two posts: Fun things to do in Fairbanks and How to find a relatively cheap hotel in Fairbanks. North of Fairbanks are these amazing hot springs. 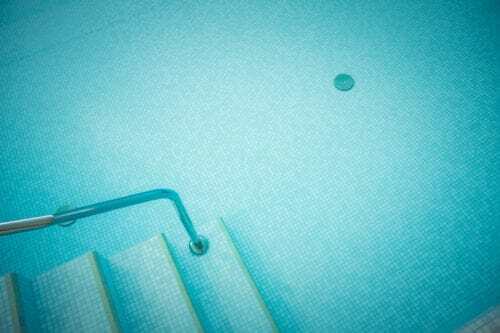 I can only imagine what it’s like dipping in hot springs during winter time. I’m hoping a summertime experience will be awesome enough to justify a spot on this list. Speaking of Alaskan cities, we have to visit the largest one, Anchorage. Our itinerary could possibly include the Anchorage Museum at Rasmuson Center or the Alaska Air Museum and possibly Kincaid park. Which is just another big city park. Only with moose. Update! 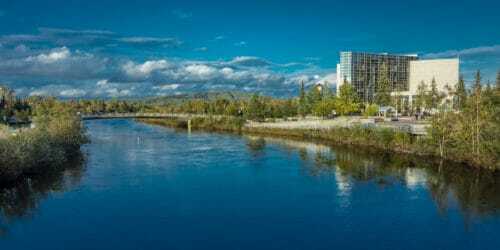 Read these posts which were written following our visit: Fun things to do in Anchorage and if you’re traveling with kids, maybe also Anchorage hotels that have swimming pools. Oh, and Kincaid park itself was a bit disappointing. We didn’t see any moose and just wandered around a large and fairly empty city park. Technically, it’s a second mention on this list. Kenai Fjords National Park is on the Kenai Peninsula. Adding it here because there’s more to the peninsula than the park itself. We definitely plan on making a road trip to the western side of the peninsula and visiting the fishing town of Homer as well. Update: So, we didn’t visit Homer but we had a blast at the Kenai Peninsula. 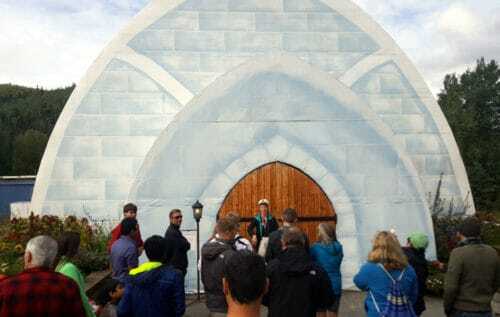 We took a cruise to see the Kenai Fjords, and also visited some great places in Seward itself, including the Sealife center. 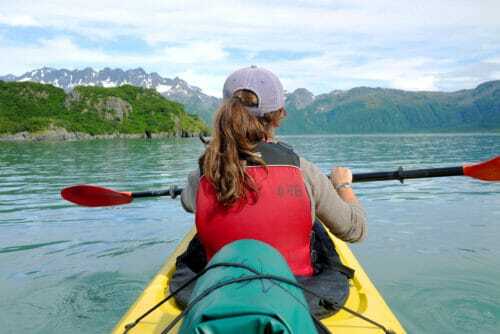 Here’s more about what you can do at Seward, Alaska. 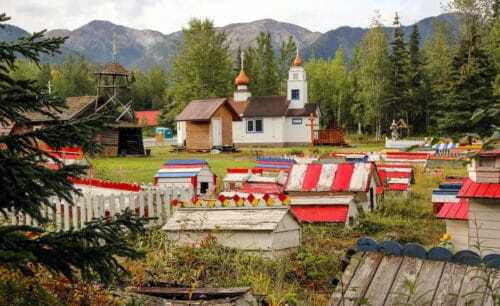 This small resort town makes it into the Alaska Bucket List for several reasons. The Alyeska Aerial Tram is one, Portage Glacier is another. I think the Alaska Wildlife Conservation Center will be hugely attractive for us as well. Locals say that driving the Whittier tunnel in a must-do so visiting the town of Whittier also made it into our Alaska Bucket List. So, Whittier was a no-go. We got to Portage Glacier and really enjoyed their visitor center but the weather outside was abysmal (in August!). The rain and wind were so bad we barely managed to hop out of the car and get to the visitors center and back. We were told that Whittier had the same weather that day, so chose to drive on to Anchorage rather than cross the tunnel. The Portage glacier area looked spectacular, as far as we could tell through the rain. We’ll definitely be back someday. As for Girdwood, we spent a few hours in the Alaska Wildlife Conservation Center and had a great time. Lovely visit, even in somewhat gloomy weather. If you go, I recommend wearing hiking boots because it was kinda muddy out there. If the name sounds familiar it could be because of the 1989 Exxon-Valdez oil spill, or possibly even the earthquake of 1964. The Valdez Museum tells the story of both of these catastrophes as well as other local historical events. However, Keystone Canyon and the Worthington Glacier are the places which earned Valdez its spot in the list. Update: Loved Valdez! Saw all of the places I mentioned above as well as the Salomon Hatchery where we saw sea lions, seals, a bear and an unbelievable number of salmon fish – just about everywhere, including on the road! 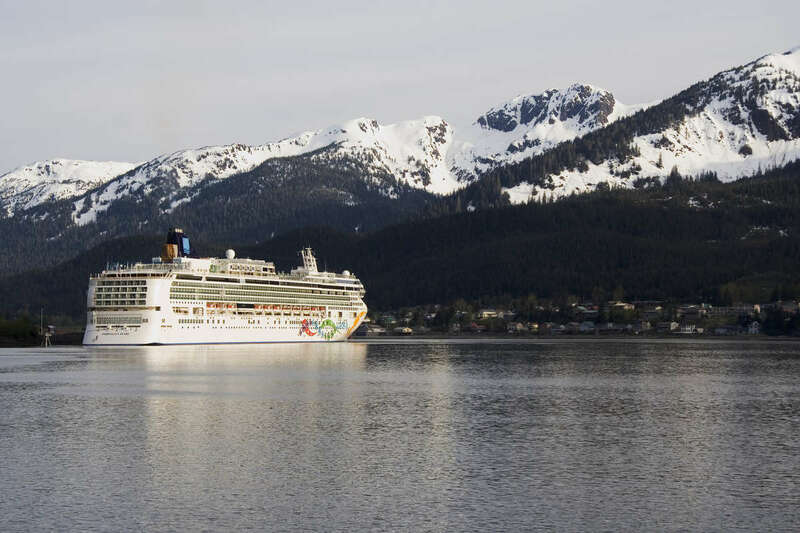 Getting into the Inside Passage could take us to Juneau, the capital of Alaska. The wet and relatively warm climate makes Juneau an ideal area for hiking the cold rainforests and visiting local gardens. 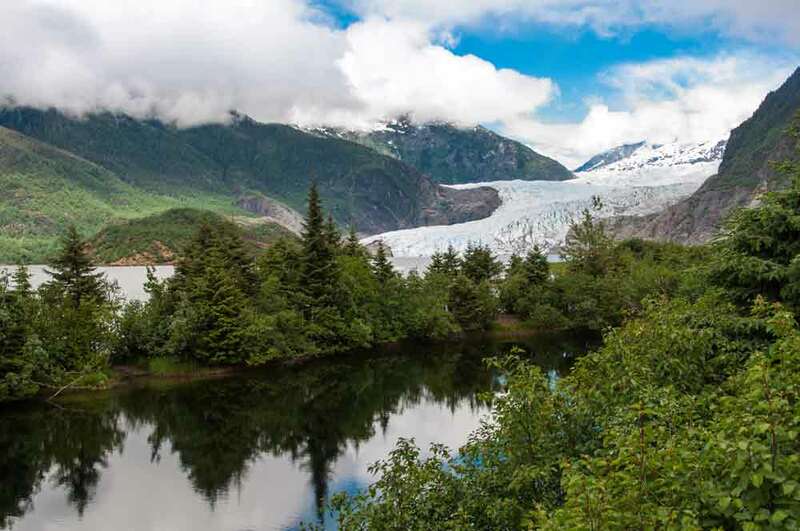 Mendenhall Glacier alone is an Alaska Bucket List item in its own right. There are no roads connecting Juneau to the rest of Alaska, so whether or not it’ll make it into our road trip itinerary is still a mystery. If we do end up visiting the Inside Passage than Sitka is another Bucket List item. 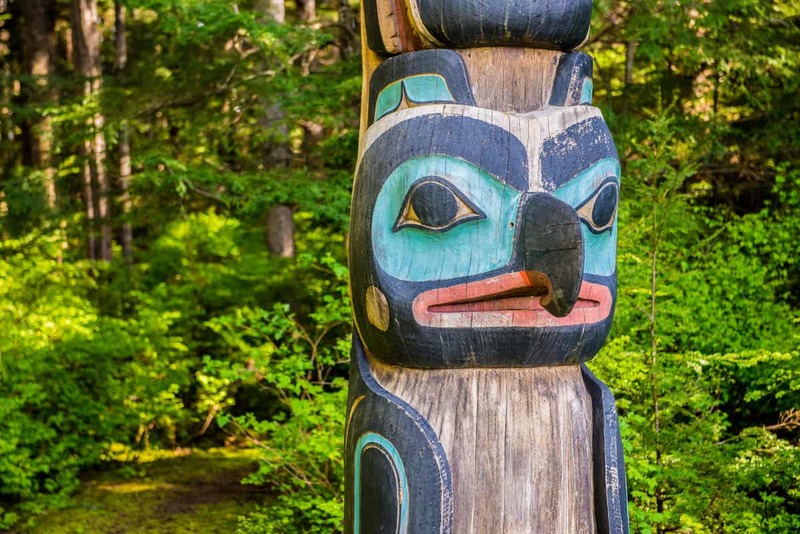 With a combination of native and Russian history, Sitka is home to the Sikta Historic National Park. The town and its surroundings combine a myriad of natural and cultural attractions. Skagway – which can actually be reached via a land road – offers travelers a taste of the historic Gold Rush. 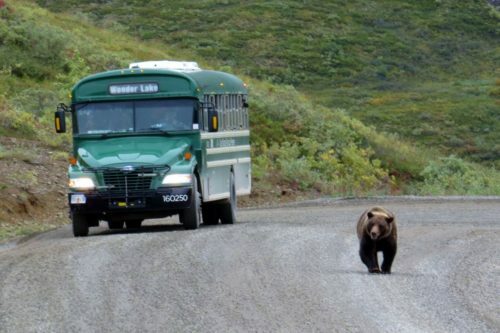 You can visit the Klondike historic national park or ride the famous White Pass & Yukon train. Haines, on the other side of the Chilkoot inlet, can be reached via a short ferry ride and offers a more relaxed Alaskan experience. Well, of course not! There are tons more to do and see in Alaska, I’m sure. Researching for the trip, I found other places that I know we’d enjoy visiting. Tremendously! I think these 13 places are a great start though. That’s why it’s an “Alaska Bucket List” – it includes the places which I think are an absolute “must-see” in the state. There are many others which fall into the “you really should see if you can” category as well (that’s not a bad category at all!). This post also allows me to share the way I plan our trips. The very first stage is making a list of all the places we want to visit in a country or region. See above? Check! Next, I place the places on a map, to see where everything is. Sharing this map here as well. It’s an interactive Google Map, so you can enlarge it, zoom in and out and generally play around. If you click on the icon that’s at the top-left corner, it will open up a menu with the names of the places. Click any of them to see where it is on the map and get more info about it. 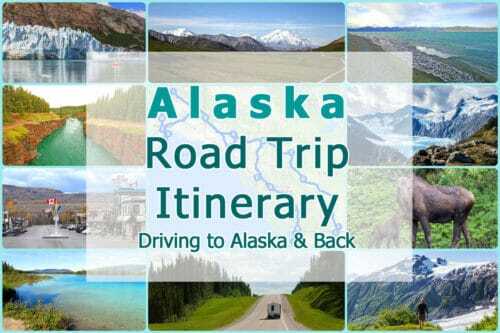 Travel Itineraries for Alaska and for driving the Stewart-Cassiar road and The Alaskan Highway. So, what do you think? Did I forget something really important? Have you visited any of these destinations or are you going to? Let me know in the comments! We are looking for a 2 week (including air travel time from Ohio) vacation to Alaska. Our first dilemma is do we do a cruise that has 3-4 days of land time before or just fly in, rent a car and go for it on our own. We love scenery and wildlife. We are older and not into a lot of hiking. Alaska has always been a dream vacation and this will probably be our only time visiting. Just starting to look. We are wanting 2019 but don’t have a time of the year picked out or any type of details at all. Let me start by saying that I think it would be hard to go wrong with pretty much any itinerary in Alaska! 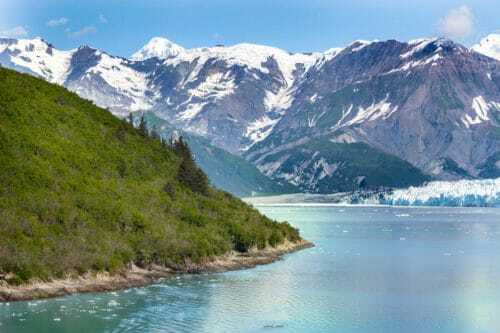 The cruise lines usually include places such as Juneau and other places that can’t be reached by road so it’s a good option in its own right. The cruise would also give you an opportunity to see some of the coastline glaciers etc. It really depends on the cruise itself. You can then add a 10-day long road trip taking in Anchorage, Fairbanks, Denali National Park, Seward etc. 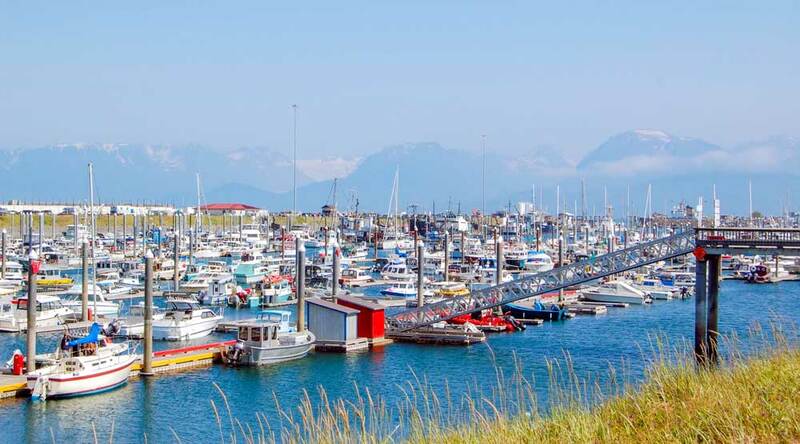 Or you could do three weeks on land, including Valdez, and then take a single-day cruise out of Seward and maybe another one from Valdez. As I said, there are no bad choices here! As for dates, anytime between mid-June and mid-September should be ok. Won’t be too cold and everything should be open. You may also want to check out my other posts about Alaska here. There are more tips and advice based on our own road trip there in 2017. Hi There, This is such an informative blog on Alaska. We are planning our visit (a family of 4) in June/July 2019. Just one question- How did you reach to each and every destination- Flight; Land; Water. For example- I am looking to go to Denali NP from Anchorage and google maps is saying “Sorry, your search appears to be outside our current coverage area for driving” Please help with your method of commute and where did you start it from and what was your last destination there in Alaska….I am commuting from DFW?? I’m glad you enjoyed the post, Ruchi! Good point on adding the means of transportation – I’m going to update the post with that information. To give you a quick answer regarding Denali – you can absolutely drive to the park’s visitors center from Anchorage (or from Fairbanks). What you cannot do is drive with your car on the road that goes into the park itself. The only way to visit inside the park is by using the shuttle. Here’s the search in Google Maps. You can read my post about visiting Denali for more information on how to do that. Enjoy your trip! Thanks soo much Anne for getting back. Please let me know how did you commute from one place to another…I am very much interested in Galcier Bay too….Is that drivable??? Or how did you commute. I really appreciate all your help. Hello – my husband and I would like to plan a trip to Alaska in the summer of 2019. We will have at least 3 weeks. For one week, we would like to do a very small cruise. The other two weeks via land. Not sure where to start so looking for help in planning an itinerary. We love nature – viewing, moderate hikes, animal sightings. Thanks for your help! There aren’t too many roads in Alaska, so a basic land itinerary is actually surprisingly simple. I should probably write an entire post on that sometime. Essentially, if you start in Anchorage, you should spend 3-4 days in the Kenai Peninsula (Seward) and then drive the circle that goes like this: Anchorage – Valdez detour – Tok Junction – Fairbanks – Denali – Anchorage. Just how to divide your days depends on your budget and preferences – there’s plenty to do in each destination! You can click the links I added for my posts about these destinations. Enjoy your trip! We only have 9 days and are planning on a trip to Alaska this August. We love to be active, be outdoors and see lots of parks and glaciers. How do you suggest we plan for this trip? Thanks. Sorry about the delay here, Ashley. I had some server issues and had to deal with that first. I assume your starting and ending point would be Anchorage? If so, I would do the following – Drive up to Denali for 3-4 days and go into the park twice to include some hiking in the visit. You can read about our Denali visit here. We only went in once but we didn’t hike at all. I think it’s a great park for hiking so you may want to spend a couple of days there. I would then go south to the Kenai peninsula and spend the remaining days there. Take at least one glacier cruise (we took this one), hike Kenai Fjords National Park and drive out to Homer. There are tons of activities to do in the area, depending on what you like and your budget. Here’s the list I put together when researching Seward. Don’t forget to get a day to visit Portage Glacier and that area, possibly even crossing over to Whittier. We tried to do that but the weather was terrible on that day so there wasn’t much point in getting to Whittier. We did visit the Alaska Wildlife Conservation park and liked it very much. If you still have time on your hands, you can take a day trip from Anchorage to see the Matanuska Glacier on the Glenn Highway. There’s a viewing point with a nice trail about 2 hours away from Anchorage but to be honest, I wasn’t too impressed with the view from the road. I think the glacier must be receding so it seems quite distant. You could look into doing some activity there, like snow hiking with a local guide. I’m sure you’ll have tons of fun whatever you do, Alaska is pretty awesome! Hi Anne thank you for this bucket list, we are planning a trip to Alaska next summer June – July 2018. Wonder how long does it takes to complete the places you mention above ? We are from Singapore in S.E. Asia, we seldom do road trip, is it safe to drive in Alaska ? Hi Julie, I would say about 3-4 weeks. We just returned from our own visit to Alaska. We visited Fairbanks, Denali, Anchorage, Seward, Valdez and Haines in approx. 3 weeks but took our time in some of the places. We didn’t visit Katmai National Park because it was too expensive for our budget and we didn’t visit anywhere along the inner passage (Sitka, Juneau etc) that we couldn’t reach with our car (so, basically we limited our inner passage experience to Haines). I think the inner passage would be at least another week of travel and Katmai another 3 days. The rest could probably be done in 2-2.5 weeks if you’re fast travelers. 3 if you want a more leisurely experience. This list is overwhelming and costly. 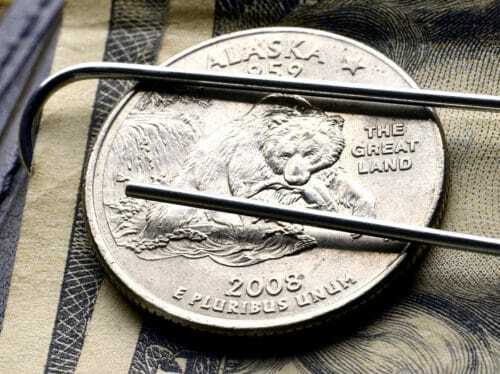 Getting to Katmai alone is about $500.00 a piece. 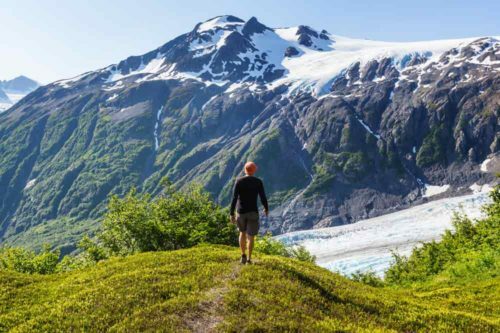 Alaska as a whole is pretty overwhelming and costly 😉 I definitely don’t think anyone needs to cover all of the items in this Bucket List in a single visit. We certainly haven’t seen many of thse during our first (and so far only) visit to Alaska. I hope we’ll get to see them someday though! You’re going to have a blast in Alaska! We’ve lived all over the USA, but Alaska is now our home. There is nothing like waking up and seeing mountains out of every window or seeing a moose munching on your tree! Thanks for the comment, Becky! Only 4 more months before we fly out to the US and begin our road trip! I love your blog and plan on spending some time there today – thanks for stopping by! Hi Ann, and family. We will be heading to Alaska in early June and want to spend 2 or 3 months. We will be in a truck camper (4wd) and would like some help planning our trip. We prefer the non touristy more remote places but are game for all adventures. Our primary focus will be for 10 days in July. Our daughter, boyfriend and grandson will be joining us. They will fly in and out of Anchorage. Their arrival is July 10 and fly out on the 21st. We are all very active ( our grandson is 10) and we would like to experience as much as possible in those 10 days. Please let me know if you can give us a hand with our planning. Sounds like such a fantastic trip! One day, we’ll be doing that too – getting an RV and heading up north to spend an entire summer in Alaska. So far, we’ve only spent three weeks in the state last summer (and three weeks each way from LA to Alaska and back). I’d love to help out with any questions. I’m just a fellow traveler and my experience in Alaska is limited to what I just described but I can be good with brainstorming, so let me know what questions you have about planning.